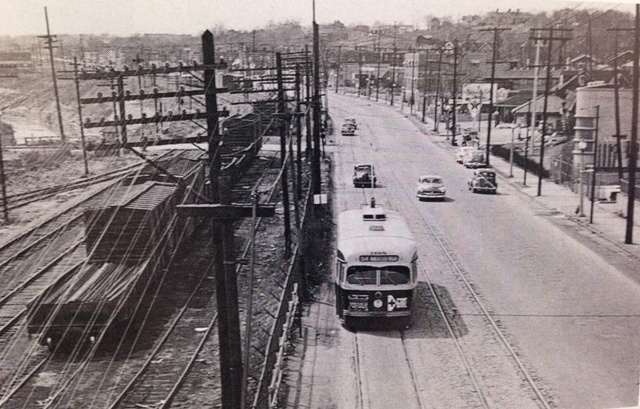 This was the view looking west on Manchester Road from the Hampton Avenue bridge in 1948. At the time, outbound cars to Maplewood, Webster Groves and Kirkwood ran against the flow of traffic, at times appearing to play “chicken” with oncoming cars. Speaking of Maplewood, take Metro to the 7th annual Taste of Maplewood event happening tomorrow from noon to 9 p.m. in downtown Maplewood. The street festival brings together foodies, shoppers and music lovers to experience outdoor vending and live music on two stages.